Two friends skip the highway and kayak from Portland to Astoria. Portland’s identity is rooted in the Willamette River. The mighty river splits the city in two, east and west, allowing it to become a trade hub many decades ago. Today Portland is known as “Bridge City,” thanks to 12 iconic bridges that stretch fearlessly over the Willamette. As a guide for Portland Kayak Company, I have lead groups for a quick jaunt on the river to circumnavigate Ross Island more times than I can count. The trip always departs from River Place Marina, takes a sharp right-hand turn south, before touring the island and returning to the docks. Fortunately, I knew a man who had all the answers. Fred Harsman is the senior instructor for Portland Kayak Company and is my proclaimed kayak mentor. 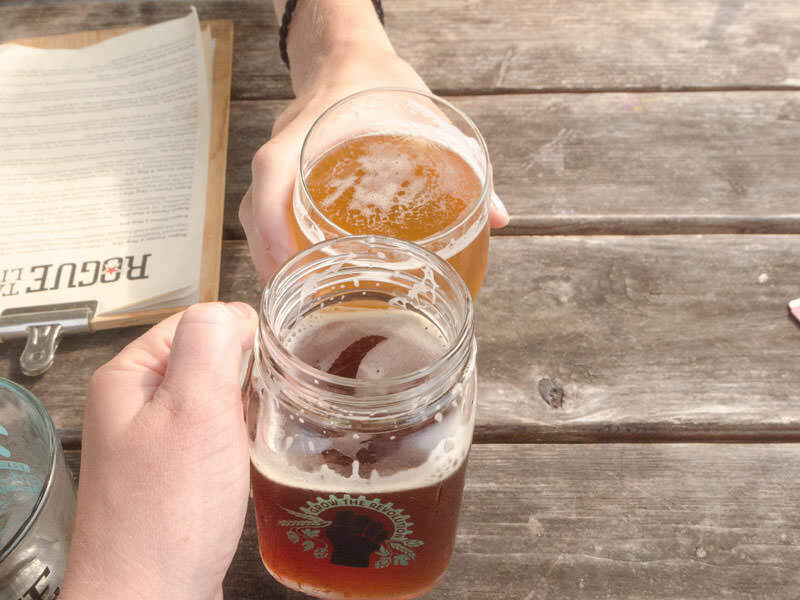 Over beers one night, he told of a journey where he kayaked from Portland to the Oregon Coast. My ears immediately perked. Moments later, I was sitting at the kayak shop negotiating with my managers the dates I could borrow one of the gorgeous Sterling fiberglass boats and hit the river. Fast forward a few months and my co-worker, Lindsey Atterbury, and I are at the same River Place Marina docks but this time instead of a tour group, we are gearing up for a trip of our own. 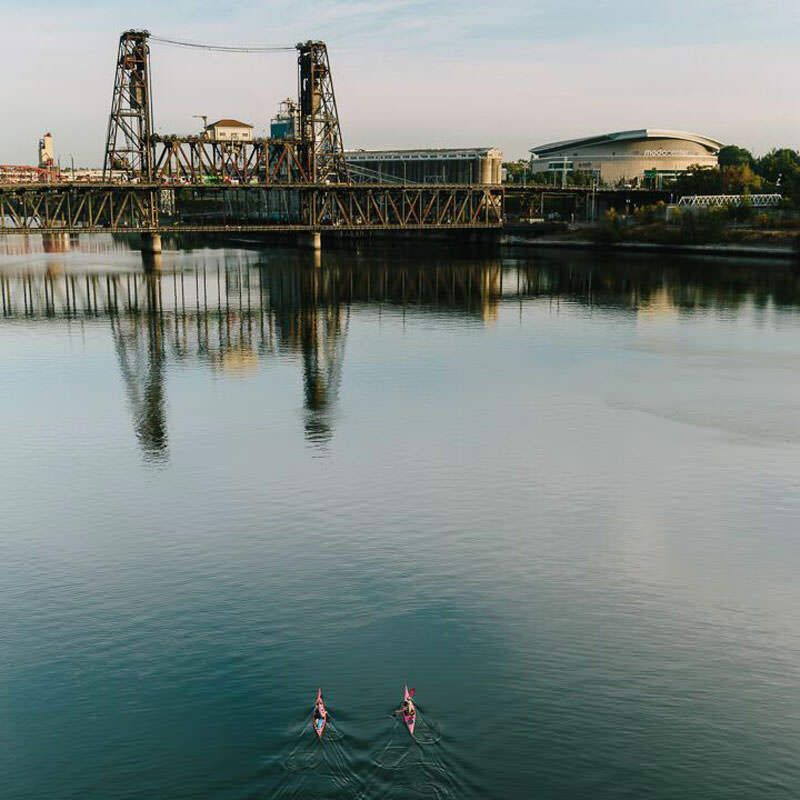 During most summer sunrises, the Willamette is a calm river of glass which serves as a reprieve from the city sounds. A quiet, chilly morning as we loaded the boats; all that could be heard was the creaking of the docks with the faint sound of morning commuter traffic beginning on the nearby bridges. A perfect golden hew lighted our departure as we paddled through the Pearl and Industrial District heading north towards the Columbia. Passing the bridges is always a joy and seeing the traffic from below is a special sensation for me; almost like I am playing hooky while everyone else is having to go to work. Quicker than anticipated, in part due to favorable current and conditions, Lindsey and I reached the collide of the Willamette and Columbia. Instantaneously, the number of fisher and commercial boats multiplied. The Columbia is obviously a much larger river and is more commonly affected by wind and strong current than the Willamette. Our first day, the favorable conditions stayed with us and we reached our goal of Sand Island across from Saint Helens by mid-afternoon. 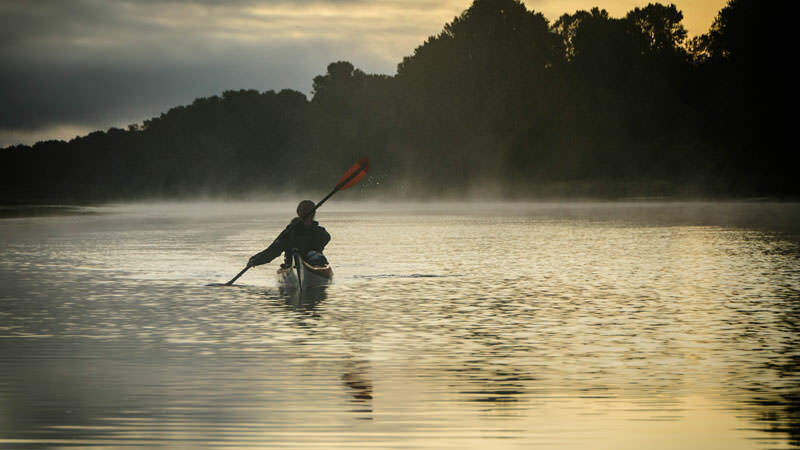 The easy 25-mile paddle day left us feeling motivated and ready for the next challenge. A photography friend by the name of Nicole Wasko even felt the psych and drove from Portland to come take some images of the expedition. All spirits were high, and then the wind came. When we awoke the next morning, the water was moving swiftly to the east. Although the current was favorable, the wind was eastward and caused the top of the water to be breaking waves against us. The scenario was not a fun one. Lindsey and I had planned a big push for that day as we needed to be off the river by day four. Although we had cushioned a fifth day for the trip, a storm was moving in and we did not want to be paddling in it. Therefore, regardless of the turbulent conditions, we had to reach our goal for the day. Departing at 7 a.m., we reached our lunch break about 12:30 p.m. in Rainier. Exiting our boats, my knee caps felt like jell-o and I’d lost sensation in both my right ring finger and two of my right toes. With paddles in hand, Lindsey and I waddled into town and scarfed down the best-tasting cheeseburger and homemade milkshake we could’ve dreamt at the Cornerstone Cafe. The locals were both curious and engaging. One women kindly offered, “I live just across the river and have a car. You girls look sunburned, do you need me to go buy you sunscreen or anything for your journey?” Nothing beats Pacific Northwest hospitality. Back on the river and conditions briefly improved. We took advantage of the generous weather window and busted out some serious miles. On the backside channel of one island, Lindsey even had the pleasure of plucking a few mussels from low bearing water. Using my Leatherman knife, she cut open the shell and had a fresh seafood snack to fuel her. Nearing our goal of Wallace Island, the wind decided to force us to end on an uphill battle. Roaring against us, each paddle stroke felt like no movement was being made. My core flexed, my legs burned and my hips had shooting pains. My body cracked like an old lady the next morning. In no rush to crawl back into my vessel, we sat on the dock and witnessed the quiet river world around us. Another glassy morning provided a gorgeous sunrise breaking through lingering fog. Finally, as the animal world began to awaken, we decided it was time to push on. The third day of paddling went on uneventfully. We must’ve sacrificed enough to the Columbia Weather Gods the day before because the winds were once again kind to us. In such smooth conditions, Lindsey and I were ripping through the water with minimal effort. We knew we were getting closer to the Oregon Coast because the Columbia continued to widen and curious sea lions began to appear and watch from a cautious distance. Knowing the last place to camp before a 9-mile stretch of sand bar islands was Jim Crow Point, we decided stop there for the night and rest before our final day. Having reached the sandy shores by about 1 p.m., we had the afternoon to recover. 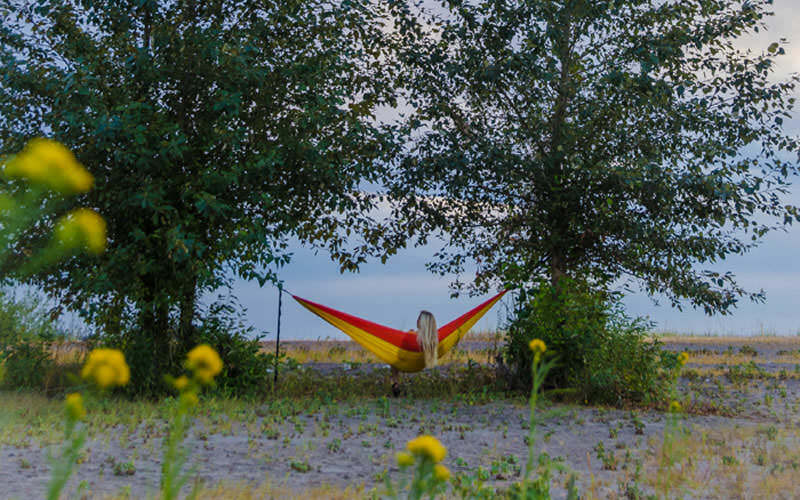 From swimming to reading in a hammock, it was a paradise cove. An abundance of wildlife was around the area and I even had my closest encounter with a curious fox. 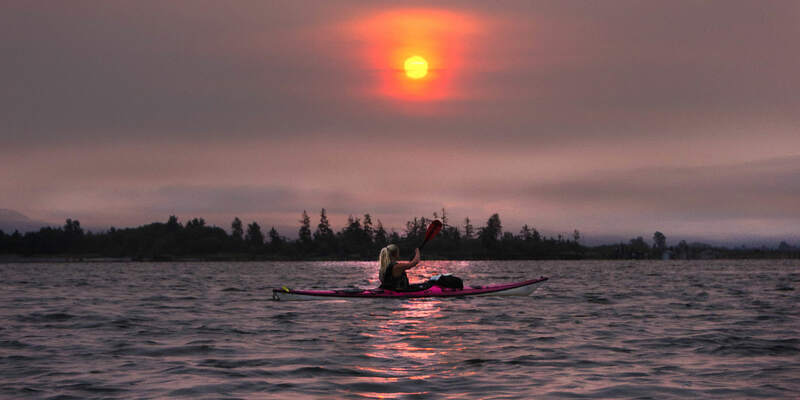 With a blood red sunrise, Lindsey and I started our fourth and final day of paddling. Although the distance was our shortest yet, only 9 miles to paddle, it was the conditions that would be the challenge. The waters where the Columbia feeds into the Pacific Ocean are known as the Columbia Bar — one of the deadliest and most dangerous sections of water in North America. Navigating the area requires advanced skills, training and experiences. Fortunately, Lindsey and I were at the very tip of the Bar and barely engaged in that section. However, there were still droppings of hidden sand bars prone to tidal changes and eddys. By the time we had reached Astoria’s famed Pier 39, both of us were thankful to get off the river as the tides was beginning to flood. We pulled our boats up onto the docks of the pier, walked straight to Rogue Ales Public House and had a well deserved victory beer (or two). Kayaking the Columbia River from Portland to Astoria requires great skill and experience. The river currents are strong and unpredictable at times, especially near the mouth of the Pacific Ocean. This trip is strongly not recommended for beginner or intermediate kayakers. Please do not attempt without consulting with expert guides. 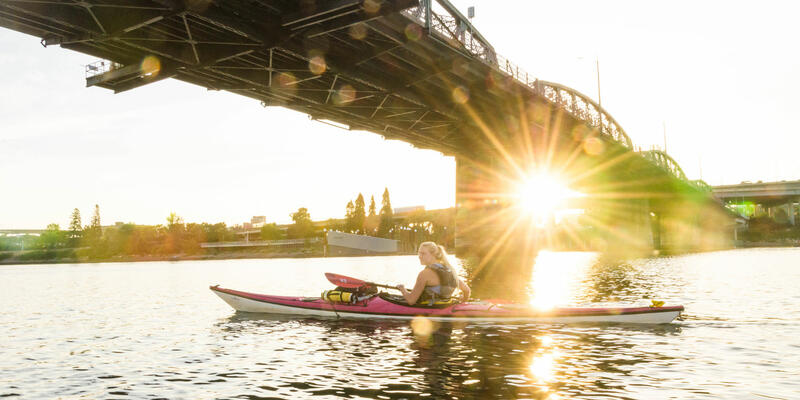 For more information about kayaking the Willamette River in Portland, contact Portland Kayak Company. The stoke is strong with Brooke Jackson. A freelance writer and photographer based in Portland, Brooke takes advantage of outdoor pursuits which are closely accessible and endless. The Pacific Northwest makes for a perfect home from Brooke as she is an avid climber, backcountry skier and kayaker. 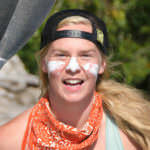 Outside of playing on snow and rock, Brooke aims to share experiences and skills with others who are wanting to become a part of the outdoor world in a smart and sustainable way. 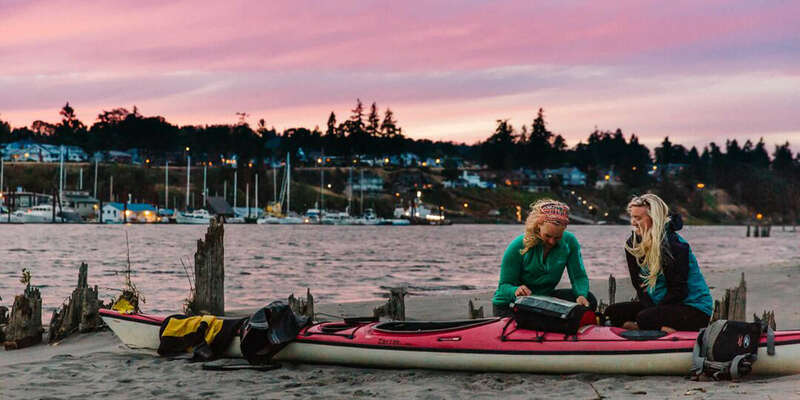 She translates her adventure pursuits from sea to summit into her writing and photography, which cover topics such as outdoor sports, lifestyle, travel, gear and landscape.